Visit the area’s preeminent new and used car dealer, Flemington INFINITI – INFINITI Dealer in NJ. We serve customers from Flemington NJ, Hampton NJ, Clinton NJ, Pennington NJ, Lambertville NJ and Princeton, NJ. 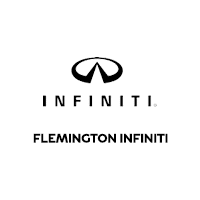 At Flemington INFINITI – we make it our goal to provide every one of our customers with an exemplary customer service experience each time they visit our dealership. Whether you are looking to get a new INFINITI Q50, INFINITI Q70, INFINITI QX30, INFINITI QX60, INFINITI QX80, INFINITI Certified Pre-owned vehicles or any used car, financing assistance, or automotive service, we are happy to assist you in any way that we can. We carry a large variety of high quality vehicles at our car dealership near Bridgewater, NJ in order to provide you the best selection to find your next dream vehicle. We even stock high-quality used cars Flemington, NJ shoppers are looking for. To see everything that we have to offer, take a trip in from Hampton, Pennington, Lambertville, Clinton or Princeton, NJ to see us at 204 US Highway 202, Flemington, NJ 08822. When you take a trip out to our INFINITI dealership in Flemington, NJ, be sure to check out all that this city has to offer. Before or after your visit us at Flemington INFINITI, you should make a stop at Deer Path Park, Famous Trials Theatre or Barkley’s Gourmet Marketplace.